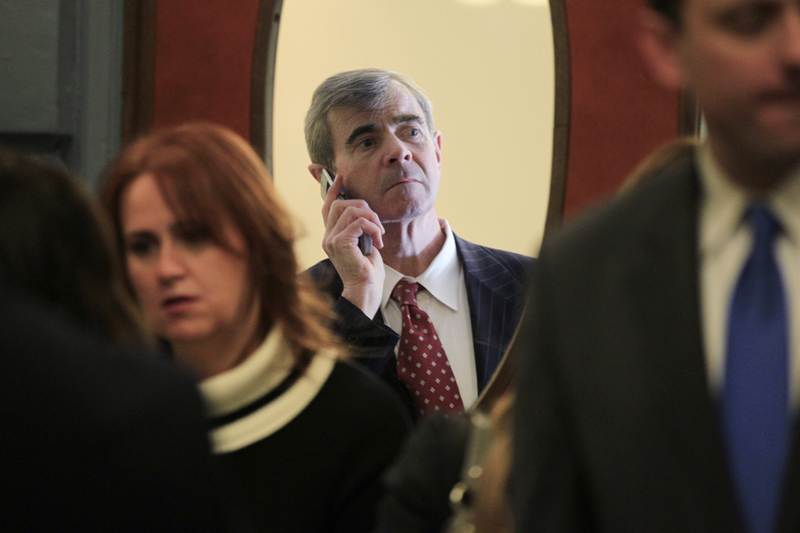 For more than 20 years, Secretary William Galvin has overseen Massachusetts’ elections, lobbyists, and public records. And now Boston City Councilor Josh Zakim says his time is up. The 33-year-old Democrat will announce Tuesday his plans to run against Galvin, 67, who is also a Democrat, and was first elected to the office in 1994. “Twenty-four years is a long time and I think we need to be looking at new ways of doing things,” Zakim told the State House News Service. Zakim, whose family lends its name to the Zakim Bridge, has just won re-election to his seat on Boston’s City Council after his first term. He serves on the Committee on Housing and Community Development and the special Committee on Civil Rights. He is pushing the message that Galvin has not been tough enough with Washington in the Trump era, and told the Salem News he thinks the office needs someone as confrontational as Maura Healey has been from the Attorney General’s office. Zakim is not the only one running. Swampscott’s Brian Felder filed paperwork in July. It’s been a decade since a Democrat has tried to take Galvin’s seat. Attorney John Bonifaz ran in 2006 but lost to Galvin, who claimed 68 percent of the vote.